Herbert Brün, S.B.C.D. 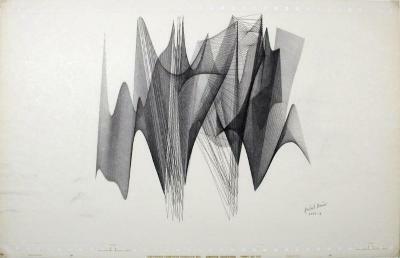 Bundle, Computer graphic, 11 in X 16 in, 1979. Herbert Brün, S.B.C.D. 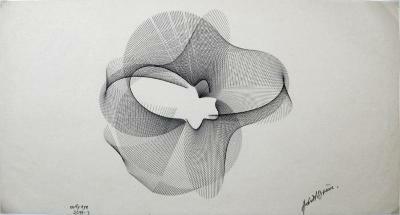 Shape, Computer graphic, 11 in X 13.5 in, 1979. Herbert Brün, S.B.C.D. Dance, Computer graphic, 11 in X 18 in, 1979. Herbert Brün, S.B.C.D. Caper, Computer graphic, 11 in X 16 in, 1979. 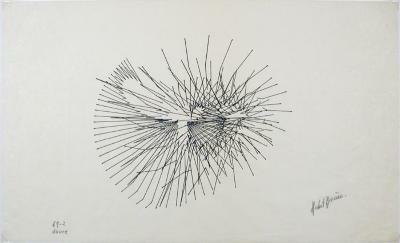 Herbert Brün, Mutatis Mutandis 19, computer graphic , 11 in X 23.5 in, 1968. 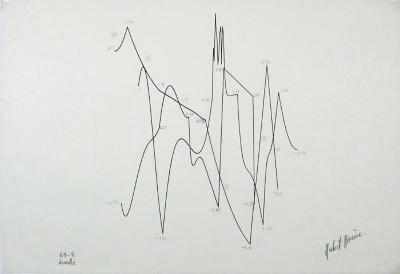 Herbert Brün, Polyplot A 1555-1, Computer graphic, 11 in X 19 in, 1969. 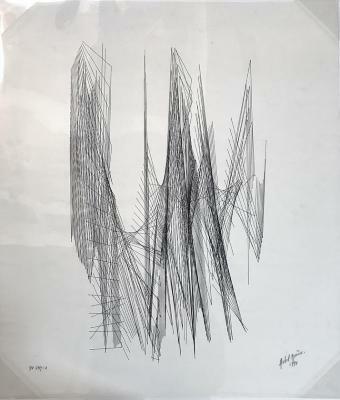 Herbert Brün, Polyplot A, Computer graphic, 11 in X 7 in, 1969. 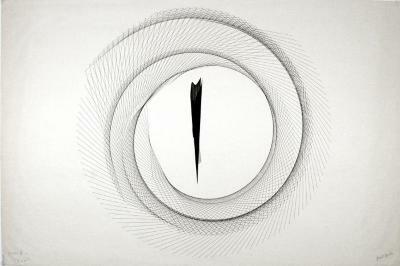 Herbert Brün, Early Eye, Computer Graphic, 11 in X 20 in, 1981. 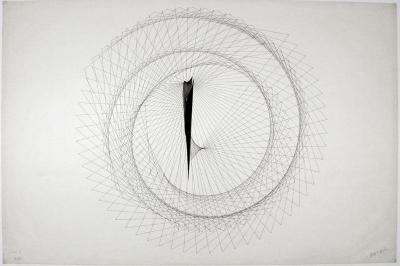 Herbert Brün, Net W, computer graphic , 12 in X 18.5 in, 1987. 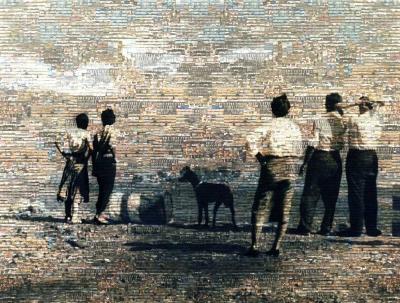 Herbert Brün, Links lll “All”, Computer graphic, 23.5 in X 35.5 in, April 19, 1973. Herbert Brün, Links lll “Both”, Computer graphic, 23.5 in X 35.5 in, May 7, 1973. 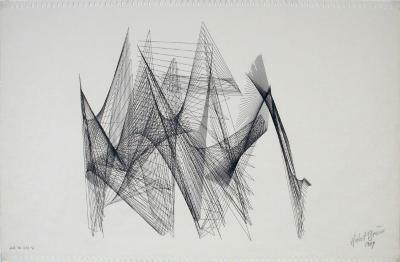 Herbert Brün, Ensemble Analogue 18, Computer graphic, 33.75 in X 27.5 in, 1980. 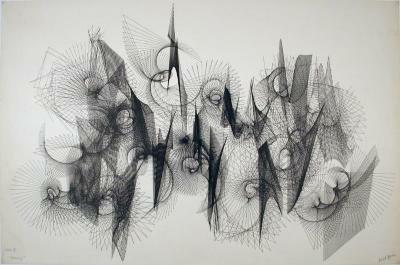 Herbert Brün, Density Variations, Computer Graphic, 34 in X 28.75 in, 1978. Herbert Brün, Links lll “Two”, Computer graphic, 23.5 in X 35.5 in, May 7, 1973. 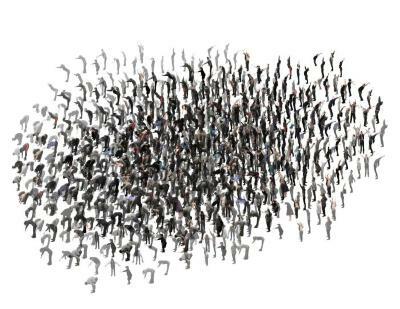 Herbert Brün, Links lll “Many”, Computer graphic, 23.5 in X 35.5 in, April 19, 1973. 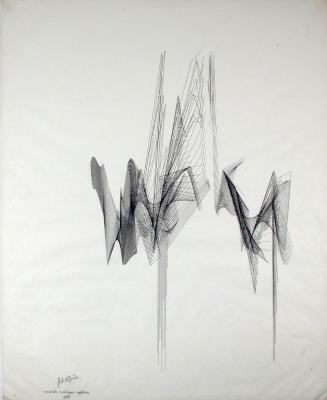 Herbert Brün, Ensemble Analogue 4, Computer graphic, 29.5 in X 22 in, June 28, 1974. 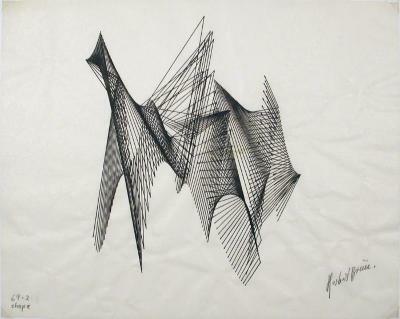 Herbert Brün, Links lll “More”, Computer graphic, 23.75 in X 35.75 in, April 19, 1973. 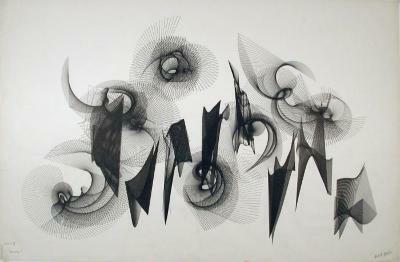 Herbert Brün, Web 1, Computer Graphic, 29.5 in X 23 in, 1971. 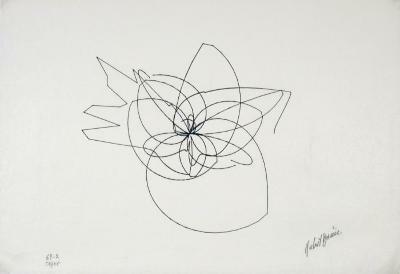 Herbert Brün, Neyethernor 1, Computer graphic, 29.5 in X 32 in, 1973. 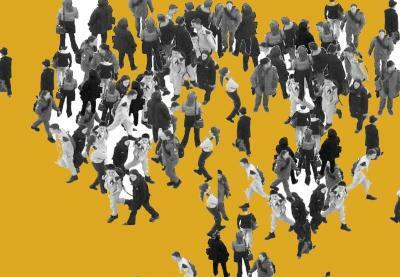 Karni Dorell, Mall Combo, Archival inkjet print, ed. 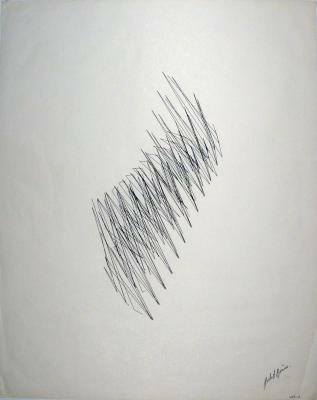 2/10, 17 in X 14 in, 2006. 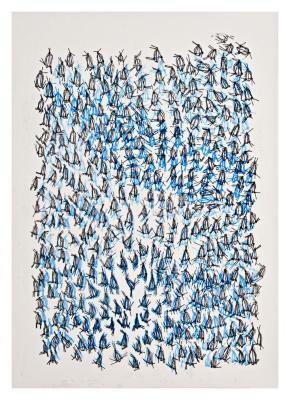 Karni Dorell, Buzz (Negative climbing men), Digital print, 16.5 in X 13 in, 2006. Karni Dorell, Moves on, Digital, 8.5 in X 11 in, 2006. 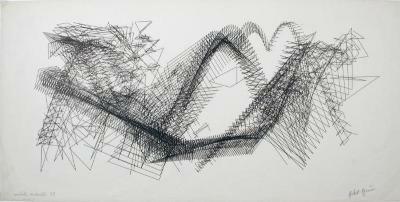 Karni Dorell, Prayer Field, Digital print, 12.5 in X 16.5 in, 2007. 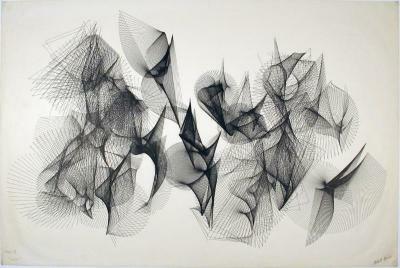 Karni Dorell, Swarm, Digital print, 36 in X 24 in, 2012. 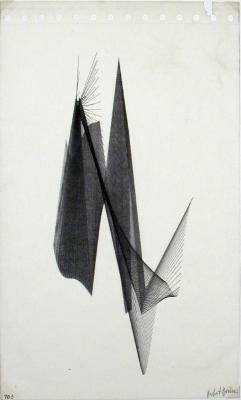 Karni Dorell, Pisga, Giclee print on rag, 42 in X 36 in, 2013. 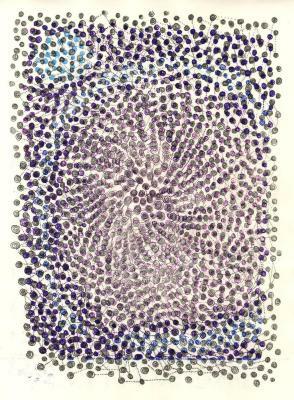 Carter Hodgkin, Re-iteration #16, Digital /Giclee, 13 in X 19 in, 2005. 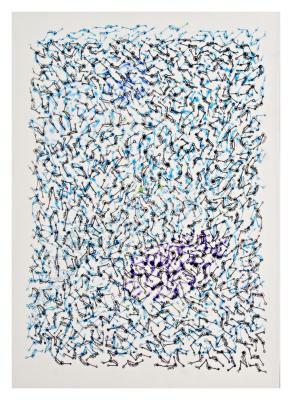 Carter Hodgkin, Re-iteration #25, Digital /Giclee, 13 in X 19 in, 2005. 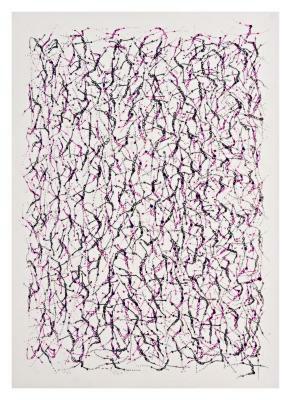 Carter Hodgkin, Re-iteration #13, Digital /Giclee, 13 in X 19 in, 2005. Carter Hodgkin, Re-iteration #30, Digital /Giclee, 13 in X 19 in, 2005. Peter Matthews, H1N1 Viral Mutations #1, Digital print from monoprint and Photoshop; monoprint on verso, 16.875 in X 12.625 in, 2009. 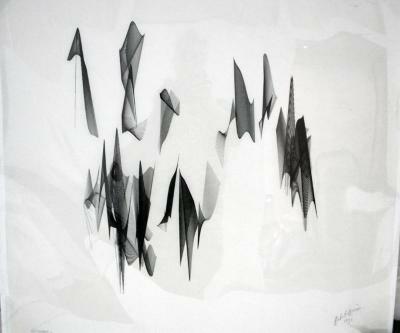 Peter Matthews, H1N1 Viral Mutations #2, Digital print from monoprint and Photoshop; monoprint on verso, 16.875 in X 12.625 in, 2009. 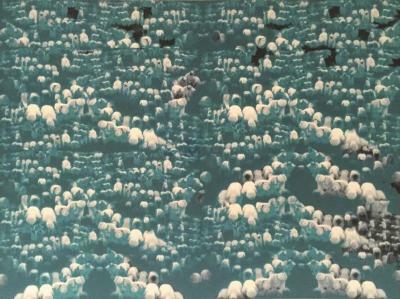 Peter Matthews, H1N1 Viral Mutations #3, Digital print from monoprint and Photoshop; monoprint on verso, 16.875 in X 12.625 in, 2009. Peter Matthews, H1N1 Viral Mutations #4, Digital print from monoprint and Photoshop; monoprint on verso, 16.875 in X 12.625 in, 2009.